Exit and Logout are similar terms which refer to different parts of your Teamup experience. Exit removes you from a calendar; Logout from your user account. Exit and Logout are similar terms, but they apply to different parts of your Teamup experience. 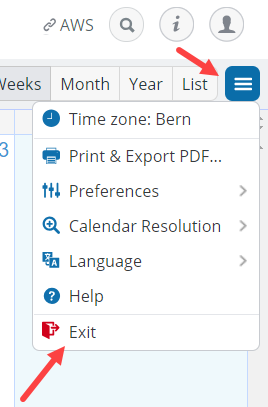 The Exit option appears in the blue menu button in the top right of your calendar when you are accessing a password-protected calendar link. Exit takes you out of a password-protected calendar. The calendar administrator can enable password protection on any calendar link by going to Settings > Sharing, then clicking the Edit icon by the desired calendar link. Then, after checking Yes in the Password section, the administrator can put in the desired password. To access a password-protected calendar link, you click or copy-paste your calendar link as usual. Then there is one more step: entering the password. When you click on (or copy and paste) your calendar link in a browser, a calendar access page will prompt you to enter your password. Enter the password and your calendar will open as usual. To protect the security of a password-protected calendar, you can exit the calendar rather than leaving it open on a browser that others may be able to access. Exit refers to leaving a password-protected calendar link. Exiting a password-protected calendar link does not log you out of your user account. 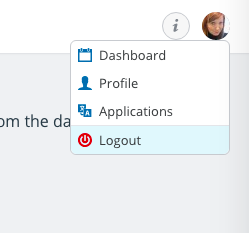 The Logout option appears in the user account menu, which is accessible from your user avatar when you are logged into your Teamup user account. Logout logs you out of your user account. Teamup recently introduced support for user accounts. A user account is optional and not required to access calendars. It brings additional features to your calendar experienc: with a user account, you can save all your calendar links in your calendar dashboard. And a user account makes it possible to use event reminders. Logout refers to logging out of your user account. Logging out of your user account will also cause you to exit any password-protected calendar links you are currently accessing. 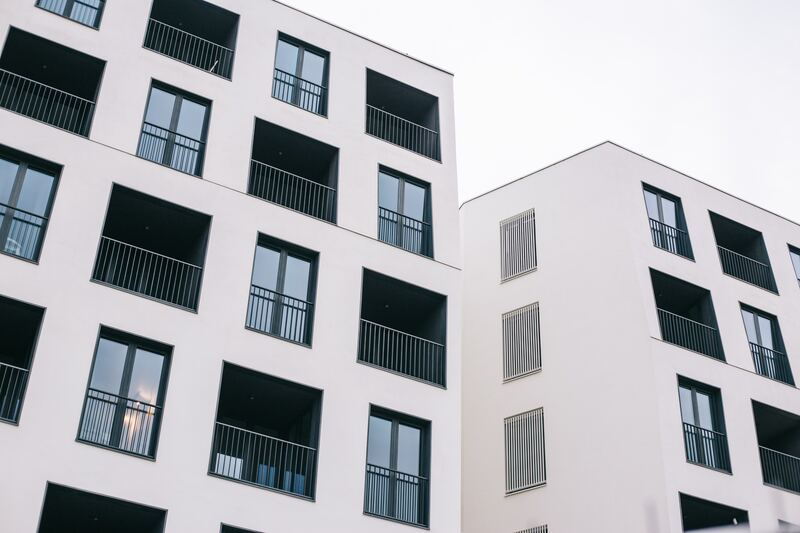 Header photo by Wiktor Karkocha on Unsplash. « What is the calendar dashboard?